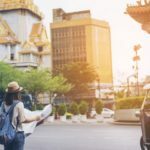 Thailand has become one of the premiere vacation destinations of recent years, but what does a western tourist do, while visiting this beautiful country? There are certainly a number of Thailand tours to consider, but sometimes a vacation means getting away from the kind of organization and rigidity offered by most tour packages. Here, we’ll present a few options that are off the beaten path.